David Marquet tells us about the time he was rapidly running out of time and needed to raise morale quickly. He had two choices, “Change your own thinking and hope this leads to new behaviour, or change your behaviour and hope this leads to new thinking” – he chose the latter. In a past life I’ve observed that the latter approach (what I refer to as “fake it till you make it” or FITYMI) works over the short-term, but you better have a longer term plan to underpin and substantiate the change in behaviour, otherwise people will revert to type under pressure. Over the past few weeks we’ve been blogging about “Mission Command” and “Centralised Intent” – and we’ve seen some organisations in the early stages of attempting this. There will be some FITYMIs in the crowd, and we wanted to make sure there is some substance which people can fall back on when they need it. 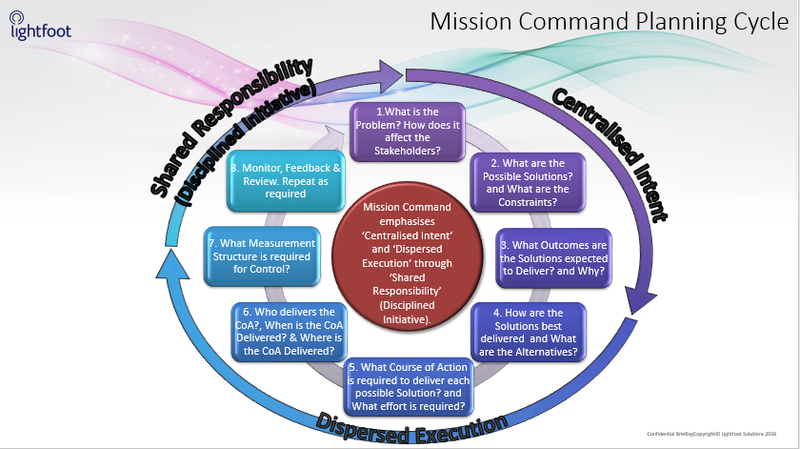 So, as promised, here’s an overview of the method we work through in helping organisations implement Mission Command. 2. 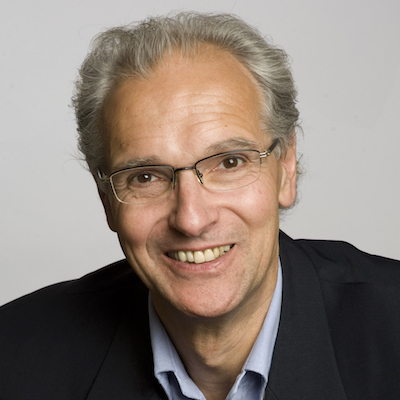 Some executive management believing they have to have and supply the answers and thus trying to work through Stages 1 – 7, rather than stopping at Stage 3 and handing over to the next management level down to take the strategic intent out into the field. 3. Many not knowing what Measurements (Stage 7) to put in place to know if execution of strategy is actually working.